So you’ve just booked an amazing dream holiday to Disneyland Paris and what’s the first thing you don’t do? Tell your kids. Disney have cottoned on to this slightly sadistic parenting trend with a new website contest, Disneymotion, last month requesting parents send in video footage of the moment they finally tell their children they’re off to meet Mickey Mouse — or any fun “moments” they filmed whilst in the parks. It’ll all come together with (in the United Kingdom at least) a joint campaign for both Disneyland Paris and Walt Disney World launching a week today, 13th February, with the taglines “When are you going to tell them?” and “2 Destinations, one single emotion”. 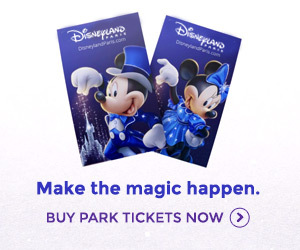 This is a separate campaign to the dedicated, though similarly themed, Magical Moments Festival ads which will follow, and is one of the few times Disney has pushed these two resorts together in joint marketing. For now, the brief teaser trailer above, intended only as a rough promo video, gives an idea of the theme Disneyland Paris hopes to play on to bring visitors to the resort this year. For 2011, the emotion of childhood is being heaped on heavily, with the main tagline “The magic begins the moment you tell them” aiming to strike a chord with parents. Ever since the 15th Anniversary they’ve sought to bring more families with young children to the resort, attempting to defy the idea that parents should “wait until their kids are a bit older” with offers such as Kids Under 7 Stay & Play Free and more attractions for younger children, whilst the annual stream of limited-time “theme years” tries to give another reason for us to visit now, rather than wait. Haha I can relate to that video!